Yale helps people around the world secure the things they care most about: their homes, families, possessions and businesses. One of the world’s oldest brands, Yale is today among the most famous and trusted names in the lock industry. The company manufactures mechanical products such as padlocks and cylinders, as well as offering a market-leading range of Smart Living solutions that enable users to protect, monitor and control their homes anywhere, any time. 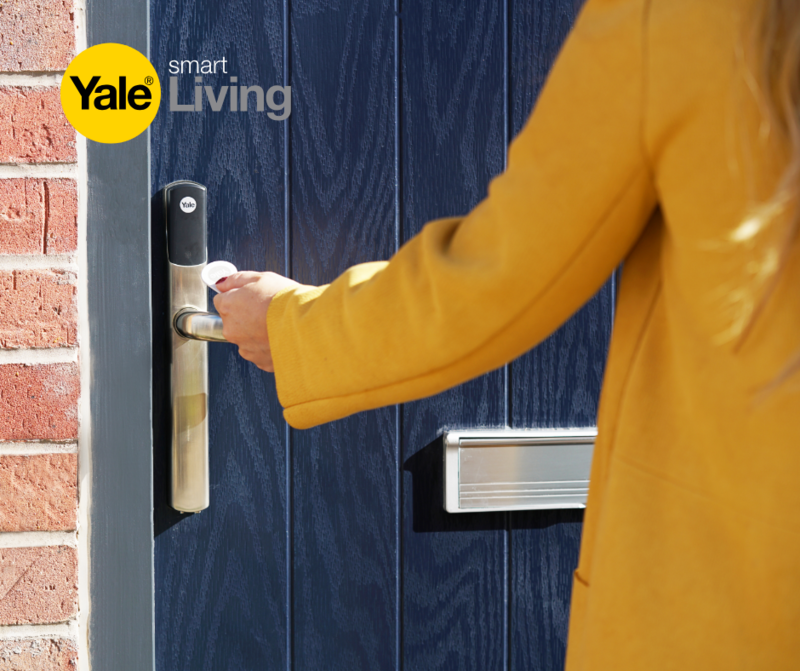 Yale is part of the ASSA ABLOY Group, with which it shares its belief in making people feel safe and secure so they can enjoy life to the full. When it comes to home improvement, security is not always the first thing we think of. Redecorating, extensions and fixing cosmetic damage may all spring to mind first – but none of these are more important than the need to protect our homes from criminals. With burglary on the rise, investing in effective security solutions from a reliable and trusted brand has never been more important, and there are a number of simple, cost-effective steps that can make a real difference in keeping your home secure. 1. Have you got a home alarm? Home alarms play a key role in keeping your home safe – any burglar looking for an easy target will think twice when they see one. Intelligently connected, our Sync alarm works with Philips Hue and Amazon Alexa, combining lights, sound and voice to create the ultimate security deterrent. It’s a small thing, but by leaving bins against the side of your house, you are potentially creating a ladder that allows burglars to climb up to an open window. As many as 12% of Brits admit that they sometimes leave their garden gates unlocked. Yet the average British shed contains £2,234 in value in tools, bikes, and other valuables - far too much to leave unprotected! A 2017 survey asked former burglars what they considered to be the most effective deterrent – at the top of the list was external CCTV cameras on the property. Yale’s Smart Home CCTV Systems allow you check in on your property even when you’re out, thanks to an app that lets you view your home at any time via a smartphone. Check for the Kitemark symbol on the front of your lock cylinders – this shows that the lock has passed all British Standards Institution tests. Plus, a lock that meets British Standards can reduce your home insurance by 5%! This is an increasingly common technique that sees thieves steal items such as keys, mobile phones, or wallets by placing a wire (or even their arm) through the letterbox. The best protection against this is a letterbox restrictor, which lets things in while stopping them getting out. This can make burglars think no one’s in, signalling that your home is an ideal target. There may be locks or handles in your home that need replacing, so take the time to check for these. Many burglars are skilled at finding vulnerable areas. Computers, jewellery and money left near windows can all act as invitations to burglars, so move them to where they can’t be seen from outside. It takes a burglar just 60 seconds to force their way into your property. Everyone knows that, before you go out, leaving a light on can trick potential burglars into thinking you’re at home. But a clever burglar might not be fooled if the lights stay on too long. So, programme your smart lights to come on and off at random times – just like when you’re in. This can alert burglars that your house is unoccupied (as can posting your holiday photos before you get home). And while you’re at it, take a look at your privacy settings. What could a stranger learn about you from your profiles? 75% of burglars use social media platforms to locate potential targets. 12. Finally, always lock your door before you go out! This might seem obvious, but 24% of us Brits admit to sometimes leaving our front doors unlocked. Don’t be one of them! Next time you’re working on home improvements, follow these simple steps to help ensure that your home is secure. For more advice, please visit our website at www.yale.co.uk.